One of the larger post-recession building endeavors in the North Bay is the American AgCredit project near the Charles M. Schultz – Sonoma County Airport in Santa Rosa. In addition to housing its corporate headquarters, it also serves as the base for three of Sonoma County’s hospitality and wine advocacy groups: Sonoma County Tourism, Sonoma County Vintners and Sonoma County Winegrowers. The three organizations have shared the same roof for the past 10 years and, like the fine wines and foods of Sonoma County, they’ve always paired well with one another. However, leasing office space in American AgCredit’s new sustainable and state-of-the-art structure has brought them even closer together. 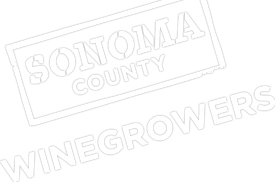 All three organizations are in the business of showcasing and nurturing the finest treasures Sonoma County has to offer, and it makes sense that, although they’re run as separate businesses with different boards of directors, it’s easy for them to support the goals of one another.